I do not recommend this product if you plan to do a conductive sewing project with kids. It easily kinks, twists, and can be very hard to knot. It was very frustrating for 8-12 year olds. There are other conductive threads on the market that do not kink so easily and carry enough current for most kid friendly projects. Is the product flexible enough to knot without breaking? can this thread be used to make glove finger tips that works on an iPhone? thx! 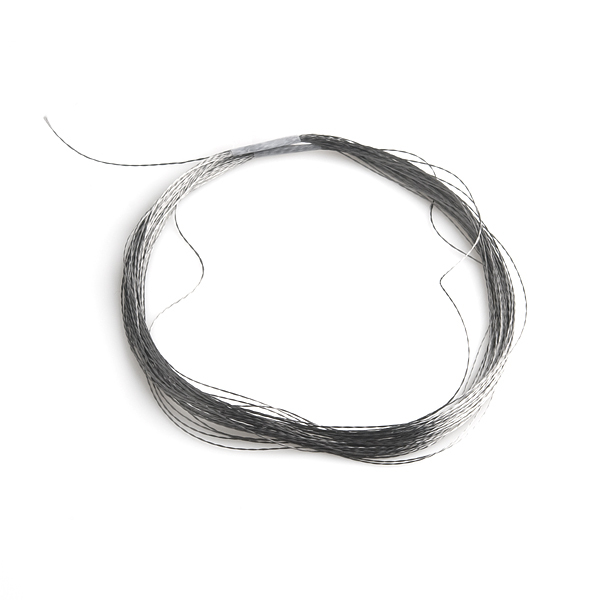 what's the max amp rating for this wire? I used this thread to create blinky scarves for my kids - worked great! 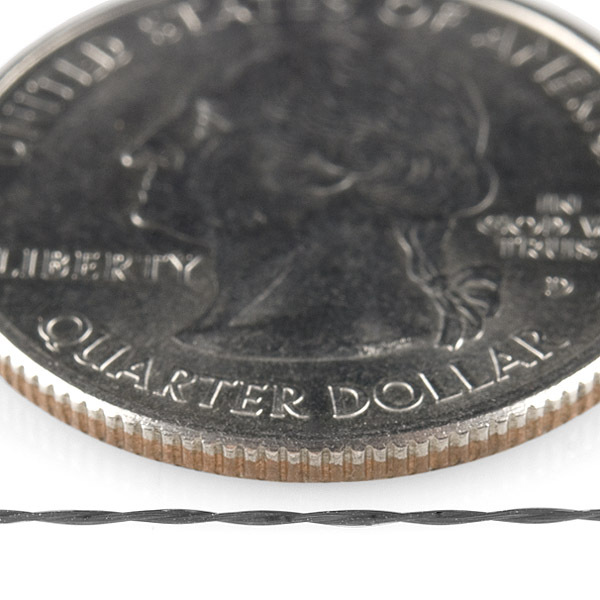 Is this thread available in a larger presentation such as 250', 500' or more? You can't solder it, but I've had luck using the brass ball from the end of a guitar string. You tie the thread to the ball, then you can solder to that. Crimp one of these onto it, cut off most of the pin, solder the crimp portion to the board. Would this thread zap you if you touched it while in use? It has no insulation if that's what you mean but generally this wire is used for low voltage projects which are low enough for you not to get "zapped"
Just wondering, Could you solder this thread? Or would conductive glue be better? It's stainless - very hard to solder. I suspect that the silver plated thread would solder better. 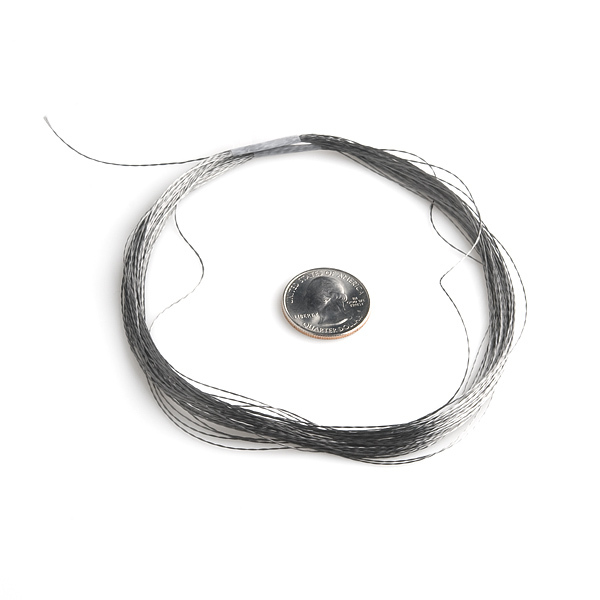 Unfortunately, the silver-plated thread has nylon content as well, so the heat of a soldering iron disintegrates it. The stainless threads are difficult to solder, but at least possible. This thread works very well for the purpose of creating texting gloves. The only annoying thing is that the thickness of the thread makes threading the needle difficult for this experienced sew-er.